Surveillance video and interviews of two people who interacted with Jennifer Sybert the day Jolene Cummings went missing have been released by the State Attorney's Office. The interviews of two people who interacted with Kimberly Kessler the day Joleen Cummings went missing have been released by the State Attorney's Office. 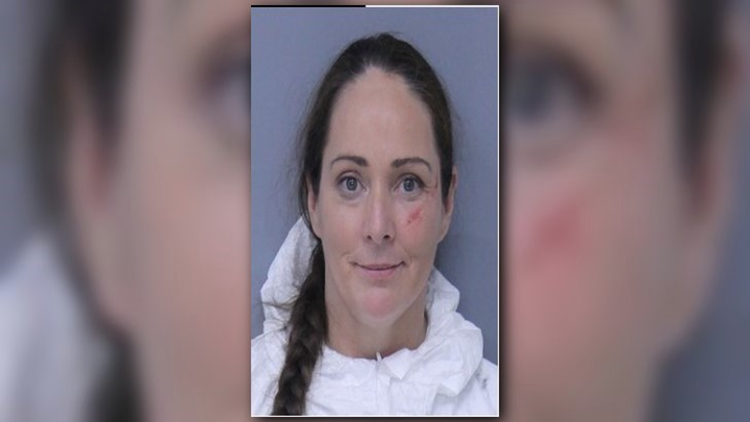 Kimberly Kessler, also known as Jennifer Sybert, is the main suspect in the death and disappearance of a Nassau County mother named Joleen Cummings who disappeared on Mother's Day. One of the witnesses interviewed by police, a Gate gas station employee, said Kimberly Kessler asked him to call her cab. This was after surveillance video shows a vehicle, which matches the description of missing mother Joleen Cummings' car, being left in a Home Depot parking lot nearby. In a written statement, the employee described Kessler as "irritable," and said she came up and said she was anxious about wanting a taxi. The witness said Kessler explained she was with her friends and one of her ex's had approached them and "that it was not good." "She didn't want me to leave her alone, like when I tried to go back inside and go to work," the gas station employee said. "I figured whatever happened it scared her." The statement goes on to say that Kessler started talking about the effects of meth on the body, saying she had spent time studying it. The gas station worker told police she "almost begged me to stay out there with her" when he attempted to walk back inside the store, so he stayed with her until the cab came. He did note that she had a red mark under her left eye on her cheekbone where it looked like someone had "grabbed her." The cab driver also described her as "irritable" and said that Kessler asked if he was a born-again Christian, to which he answered "yes." She also exchanged phone number with him, the driver told police, so they could visit church together in the future. Kimberly Kessler has been charged with grand theft after Cummings' car was found in a Home Depot parking lot. The Nassau County Sheriff's Office believes that Kessler was the last person to see Cummings alive. Kessler has been known under many aliases. In an exclusive interview with an ex-boyfriend and the father of her child, he explains knowing Kessler by a different name more than 20 years ago. The FBI and aiding agencies searched a landfill in Georgia for a week for possible evidence in the case, but a body was not recovered. This is an ongoing story, stay with First Coast News on air and online for updates.